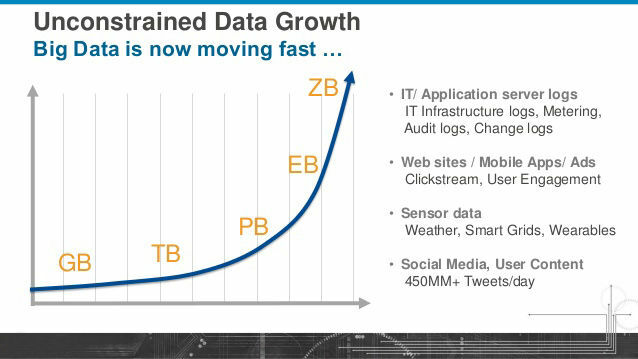 Big Data is very much in demand and everywhere. Today, almost every company, no matter what domain is, they are using the same in order to collect and preserve whatever data is being generated, for the fear of missing out on something important. You should need to aware with the fact that there is a huge amount of data floating around and the data is very important and we can manipulate the data which matters us a lot. And that is why Data Analytics has become important as it supports in improving business’s success, decision making power and providing the biggest edge over the competitors. Those professionals, who are skilled in Big Data Analytics, there is an ample of opportunities out there, which can’t be expected at all, however, new aspirants can plan to take big data analytics very seriously in order to shape the career in the best possible manner. As per the latest estimate around 2.7 million job postings for Data Analytics and science will be opened only in the United States by 2020 and if we talk about overall countries, the vacancies will be huge. As everybody knows the importance of Big Data Analytics, however, more and more companies are using the same as a useful source for gaining insights and making informed decision for the business. We all know the fact that the data is useless without the skill to analyze it and that is why there are more job opportunities in Big Data management and Analytics than anything else. In comparison to last many years, today, it is highly in demand and that is why many IT professionals along with other career aspirants are prepared to invest time and money for the training. If you are not convinced at all, you better check the job trend graph for Big Data Analytics aired by Indeed.com and it clearly proves that there is an intense demand of the same and its growing trend. Not only this, the same source has confirmed a steady growth in the number of job opportunities, thus, it recommends all IT professionals and others, better to move ahead with the same for getting unexpected salary and opportunities. Talking about the current demand for qualified data professionals is just the beginning and it will hike up soon once A-Z companies will start using the Big Data Analytics. Various professionals and analysts mentioned that in the next few years, there will be a great expand in the size of the analytics market, thus, it clearly says a huge demand of the Big Data Analytics professionals. It is obvious that all the Tech professionals who are experienced in Analytics are in high demand now and then as today every organization is seeking for the effective ways to exploit the power of Big Data. We already have a great example of Indeed and Dice, which have already posted great number of vacancies and increased substantially over the last 12 months. Other job consultancy sites are showing similar patterns as well. All in all, it is highly in demand, but we can see the maximum use of the same by the organizations or they are potentially planning to add this feature within the next two years. The word Data Analytics is all about the mix of programming frameworks, including- Java, C, Python, or Scala, however, nothing will be complex enough, if you have full knowledge about the same, you will be able to handle Big Data Analytics so well. Also, you should have a natural desire to find solutions always as that is why BDA uses in various companies. Going up with the Big Data, it will make it easy and interesting for you to learn languages that are highly in demand and specialize with the time. You better know that there are plethora of certification courses and material available online for new as well as professional candidates who want to know more about Big Data and polish the skills, however, it is time for you to be a part of the same as it is not a complex matter. If you are going through to take the basic knowledge of Java or OOPS programming or you are professional in the same language, you better plan to work with Unix /Linux platforms and tools like Apache Hadoop and you will get amazing opportunities you ever had before. In order to get the latest update of Hadoop and access, internet is full of the best resources and tutorials will help you all the time to get updated information. A survey has been conducted by a Data Analytics survey and it was identified that via analytics, we can have better business insights, help us in making great business decisions, explore greater sales and promotion avenues, as well as help companies in regards with the Social Media Marketing opportunities. 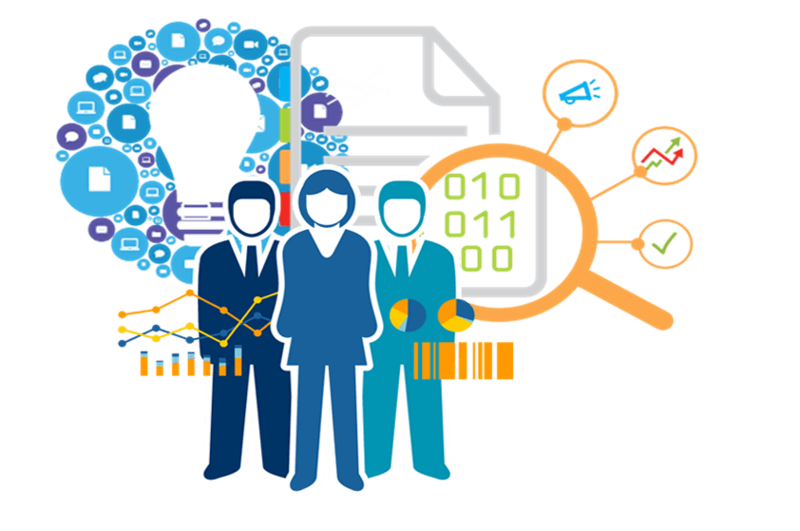 You might don’t know, but as per the survey it is proved that the Big Data is needed by all the companies every hour to go with the best business operations and therefore, there is a need of skilled Data Analytics professionals will be hiked in few years with a tremendous rate. As all the companies are taking Big Data very seriously, however, we can expect a great need of the data scientists, thus, if you are wondering which course will be the best, with a blindfold just opt the same. Keeping this demand in view, the entire major IT and engineering centers have come up with specialized programmes to prepare such professionals for the IT market. As said that Big Data Analytics can be used by anybody and anytime, this is why, even the government has identified this need and already in the mission to aware about the same to the world via the department of Science & Technology. Yes, it has already sponsored faculty development programmes on Big Data Analytics across India along with other various countries. Currently, there is a news which has mentioned that data scientists earn more than chartered accountants and engineers, however, this example can easily make us understand how best the field of Data Analytics is and how huge its potential is. 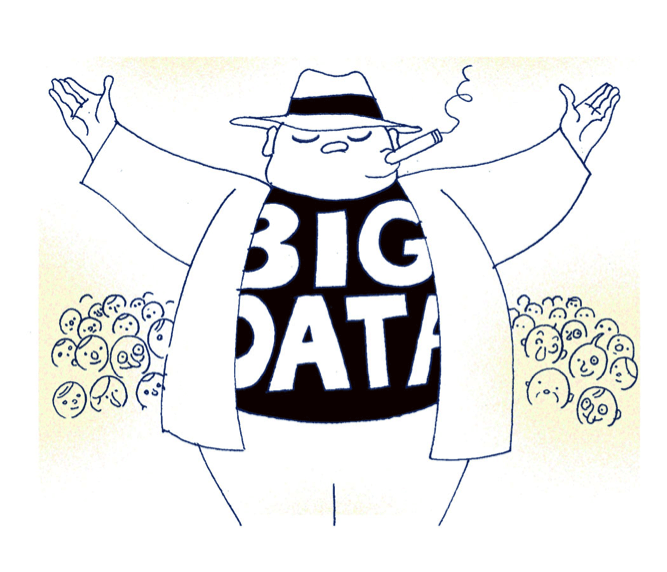 Today, almost all the companies are in the need for Big Data Analytics in order to be a part of the growing business. A lot of organizations of all over the world are already responded to the Big Data Analytics study and potentially using the strategy of the Big Data Analytics for better results. 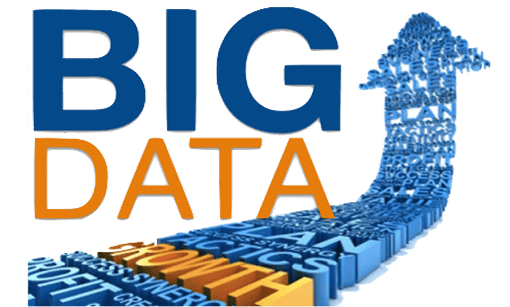 Coming to the Big Data Analytics tools, the most popular choice would be going up with Apache Hadoop as it is the one, offers a vast array of choices of both commercial as well as open source frameworks and with the help of the same the appropriate choices based on their requirements can be defined. With the HUGE opportunities and demand for skilled Data Analytics professionals, we can also expect the best pay and perks, enough to set the best life. The companies across the globe are now competing with each other to hike their profit and for the same they just acquire the best of skilled and talented professionals and to be with them or to manipulate them for better results companies pay them so well. Talking about the survey of 2017, it is being obtained that Data Architects almost earn a salary of $122,000, Data Managers are earning approx $109,000 and Data Engineers with a median salary of $105,000, which is more than anything else. 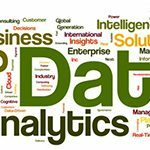 Anybody, who is associated with the big data analytics, they can easily assure to have the best monetary benefits to join Data Analytics career. However, if you are an IT professional and don’t know anything about Big Data, you better get trained and you can see more improvement in pay and perks than any other IT job. Everybody from students to professionals who are logically driven, skilled, computer-savvy and have excellent communication, they can easily get in touch with the same and can have great opportunity to earn above-average income while working for fixed hours. 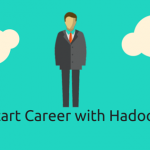 However, rethink if you are approaching any other course other than Hadoop. Even, one’s decision in regards with the career will definitely be dominated once they will check the salary trend and future pay hike for Big Data Analytics. As per the analysis of Big Data Pay in all the top countries, UK, USA, India and others also indicate a positive and exponential growth. 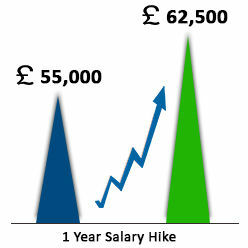 Talking about Itjobswatch.co.uk it clearly shows a salary of £62,500 in early 2016 for Big Data Analytics jobs as compared to £55,000 in the same period in 2015 and it is something a great increment which will be hiked as soon as possible again. Not only this, we can easily expect the demand for Big Data professionals as various Big Data IT jobs advertised across the UK and other countries in order to grab the best professionals for better work. We are completely aware with the fact that technologies are playing very important role today and because of the same we can expect our life very easy to go with. Similarly, Big Data Analytics is here to perform and deal with very large and diverse datasets to make any company robust. It is important to note down that more than one-third of the respondents are currently using some form of advanced analytics using Big Data, for various purposes, like- Business Intelligence, Predictive Analytics and Data Mining tasks. Big data is a perfect example and can easily edge over the competition; the rate of implementation of the necessary Analytics tools has increased so well than ever. When talk about Big Data Analytics tools or when we use up the same for any work, the adoption of Apache Hadoop framework continues to be the popular choice. Both Hadoop and big data is very famous, however, pros should move ahead with the understanding of both the term and know the fact how to use them well. As we already know that there are huge amount of commercial and open-source frameworks to choose from and organizations are making the appropriate choice based on their requirement, but Hadoop is a perfect match to get the work done professionally. 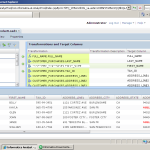 Already, more than half of the respondents deployed or are currently implementing a Hadoop distribution. 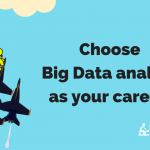 You better move up with the both, if you feel that you have a flair for math and statistics as Big Data Analytics career move will allow you enhance your skills in everything from applied statistics to analysis, graph theory, linear algebra, and various others. You can go ahead with a degree in computer science and if you are already done the same, it will be an added advantage and allow you to enhance your skills for Python, Hive, and SQL coding, as these skills will help you to understand the Big Data Analytics game so well than anything else. All in all, there are lots of other advantages we can expect to have which will surely push us to opt Big data analytics as career over any other. It is best for taking great business decisions, the rise of unstructured and semi structured data, predictions for market, hang up with the multiple programming languages, and other various things can be done with the help of the same. It is very important that one should have knowledge of machine learning and predictive modelling. Today, we can easily get the best sources- offline and online offer great training programs, thus, it will be good to go with the same as there is a huge dearth and demand of data scientists. 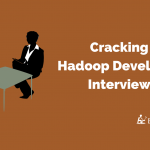 Next: What is Hadoop and Frequently Asked Hadoop Interview Questions.